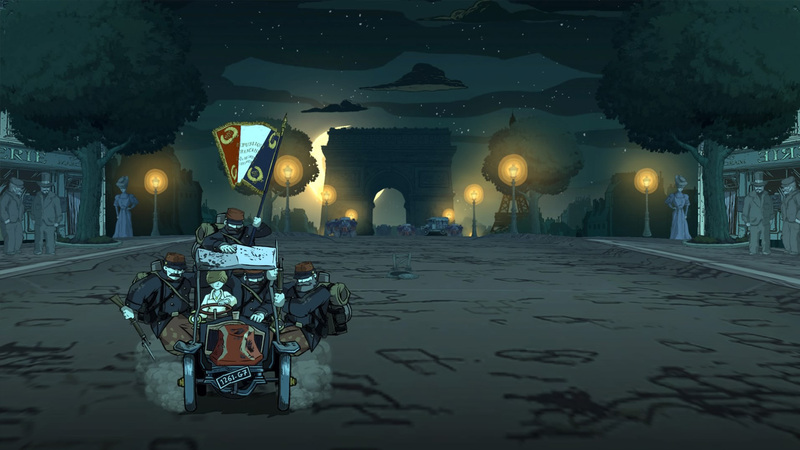 In June of 2014, Ubisoft Montpellier brought us a game inspired by the personal letters of a number of people involved in the Great War. Releasing on the 100th anniversary of the start of the war, Valiant Hearts delivers a highly involved and emotional story as seen through the eyes of four protagonists. Each playable character has an individual and touching narrative that intertwines with all the parties involved. In short, Valiant Hearts is a story where love is put to the test in a way that we as a modern society couldn’t fathom going through. The game is split into four chapters and played as a puzzle adventure. You are required to solve challenges in order to progress the story. These tasks range from the subservient to the assertive. You solve problems through the use of melee attacks and by interacting with various objects that are within the vicinity of the character. While the puzzles overall are not very challenging, the actions required of your protagonist to progress the story can feel humiliating and gut wrenching at times if you can manage to put yourself in their situation. A large task considering how we live these days, I admit. There is a hint system if you manage to find yourself stuck on a puzzle, which won’t happen often. The puzzles become a bit more challenging if you are looking to also obtain all of the collectible items in the game. These collectibles provide some additional story details that are small but very influential. They add a simple and touching element to what these men and women had to go through in the world’s deadliest conflict in history. Picking up a spoon from a corpse and realizing it was all the deceased may have had in life hit me hard emotionally. The highlight of the game, aside from the touching story, was reading all the journal entries that unlock as you progress. If you are not interested in the accurate history of World War 1 and just want to play the game, do not fret because these are optional. You are simply notified with a tag on the top of the screen that you have unlocked a journal entry. However, I feel it would be foolish to skip these. 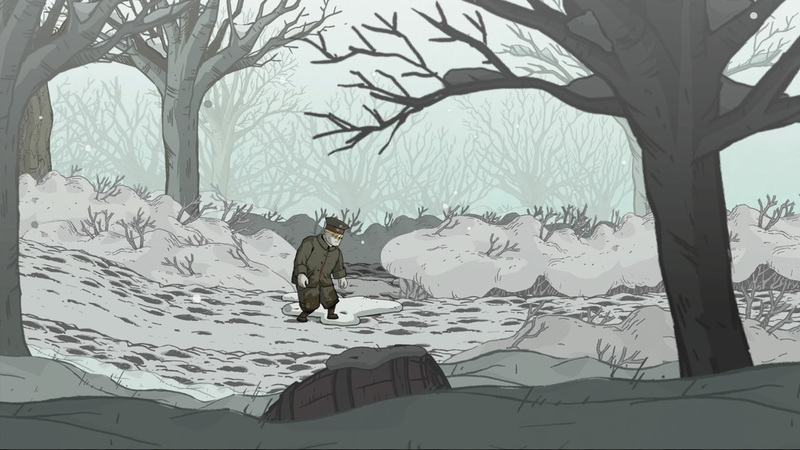 The entries fully engross you into the depravity and emotional roller coaster that Valiant Hearts has to offer in regards to the war. 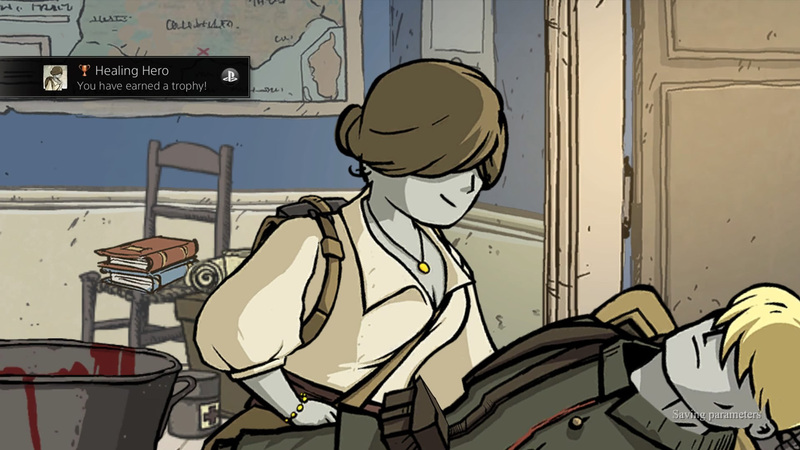 Valiant Hearts is not perfect unfortunately, it suffers from a bit of repetition, in particular with one of the playable characters, Anna. She is a medic and has a mini game to treat the victims of the war. You simply have to press the buttons on your controller that match with the corresponding colours. It is equivalent to playing Rock Band Blitz on your controller, but not nearly as fun. While this process gets to be bothersome, it does not deter you nearly enough from enjoying the story. The artwork and graphics of the game are solid, but not groundbreaking. I however, don’t expect that from a digital only title. It has a distinct charm that would not be noticed if you were playing any other game with a much simpler story. 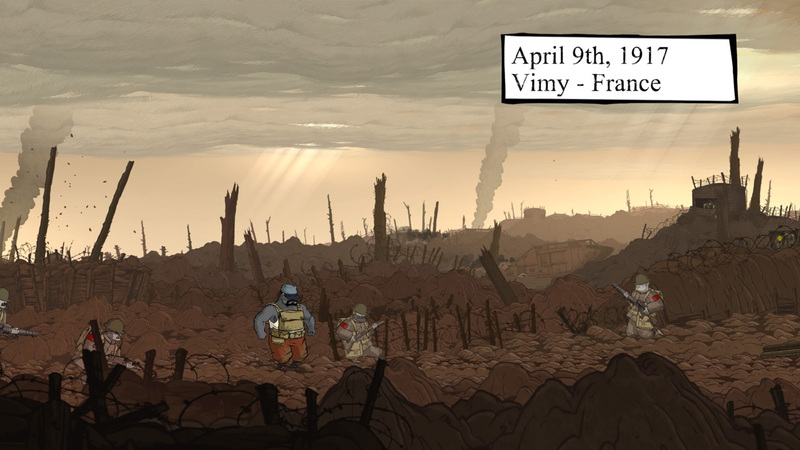 Overall Valiant Hearts: The Great War is an excellent title released at a good price. I was fortunate in that I picked it up for free on my PlayStation 4 but you can still pick it up on most platforms for around $15 these days. If you are on the fence about it, just ask yourself how much you care about history. If there is one deterrent to your enjoyment of this game, that may be it. I, for one, enjoyed reading about the history that I admittedly did not know much about. It gave me a revised picture about how difficult life was in the early 1900’s. It also gave the protagonists some context as to what they were going through. Making history more palatable through the use of an enjoyable video game is something that I can always get behind. Perhaps you will too, Enjoy. May 12, 2015 in Derek Pacheco, Guest Post, PC, PS3, PS4, Review, Xbox 360, Xbox One.